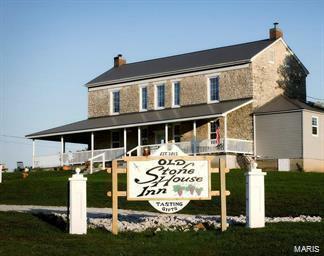 "Old Stone House Innâ is an opportunity knocking at your door! This one of kind, premiere Restaurant showcases collectibles, great food, drink and entertainment. Already a hot spot for weddings, receptions, class reunions just to name a few. This business offers a full kitchen, bar area, large dining room, wrap around porch, handicapped accessible and ample parking. There is lots of potential for expansion to generate revenue. This unique property offers you a great opportunity to make your dreams come true and start your own business that has unlimited potential.